LDL Cholesterol Definition - LDL cholesterol is defined as a cholesterol characterized by the Low Density Lipoproteins (LDL) carrier. The LDL carrier is a mix of water soluable fat and proteins that carry the cholesterol through the body to power the cells. Hence the term "LDL cholesterol". What does LDL Cholesterol do? Without the LDL to carry the cholesterol to the cells, cholesterol, being insoluable in the blood, would drop out of the blood very quickly, depositing on vein and artery walls very rapidly, leading to a very early demise. Also, the cells would quickly run out of energy, leaving one fatiqued very fast. Why is LDL cholesterol dangerous? 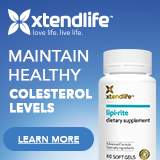 LDL cholesterol is referred to as the bad cholesterol, as studies have repeatedly shown high LDL cholesterol is associated with cardiovascular disease. LDL cholesterol appears to significantly increase the risk of cholesterol induced stroke. When we have too much LDL cholesterol in our blood, our cells reach a satiation point, when supply of LDL cholesterol exceeds demand for it. When the fat cells have stored what they can of the excess LDL cholesterol, the remaining LDL cholesterol then hangs round in the blood and is more likely then to be deposited on vein and artery walls. When LDL cholesterol deposits out, the deposits restrict the blood flow at that those points. A damaging stroke can occur much more easily where LDL cholesterol deposits have accumulated, and, therefore, depending on where the stroke occurs, you can suffer death, or be maimed by it - even left blind. There is currently much debate over the precise role of LDL cholesterol in cardiovascular disease. YES, altering diet, increasing exercise and taking drugs and herbs as needed, did lower LDL cholesterol and does reduce the incidence of cardiovascular disease. However, a recent study conducted by Merck and Schering-Plough, found that combining two powerful LDL cholesterol lowering drugs, did indeed result in lowering LDL cholesterol by alot more than just one of the drugs alone, BUT their research, which involved imaging of the peoples blood vessels, showed no greater improvement in reducing LDL cholesterol deposits on blood vessel walls. 2.. Other LDL cholesterol associations were found that were thought to be more riskier. LDL cholesterol oxidization is one of the other associations found. Research begun showing that increased levels of oxidized LDL cholesterol was associated with increasing risk of cardiovascular incidents - blockages and strokes. However, as popular as the oxidization concept was and is, other research has shown that people lowering their oxidized LDL cholesterol levels did not necessarily show a drop in cardiovascular risk. For example, Vitamin E treatment, although greatly preventing the LDL cholesterol from oxidising, did not reduce cardiovascular incidents by very much at all. The question of course, that people were actually asking, in a way, was "Why does LDL cholesterol stick to blood vessel walls?". The answer may have come a bit by accident. The researchers working for Merck and Schering-Plough came to believe that if blood vessels were inflamed, they were more likely to have LDL cholesterol deposited on them. The researchers found that if a cholesterol lowering drug had an anti-inflamatory effect as well, that LDL cholesterol was less likely to stick. Going back to an older preception of cardiovascular disease, you may come across the homocysteine association. Research found that high levels of homocysteine were associated with higher cardiovascular risk. However, correcting the homocysteine levels through vitamin B treatment, did not reduce cardiovascular incidents. So, although we know that lowering our LDL cholesterol levels naturally, as through diet and exercise, does lead to lower cardiovascular risk, there is still much about LDL cholesterol we don't know, such as why it sticks or what is, perhaps, associated with LDL cholesterol, that we don't know, that causes cardiovascular disease. Lowering LDL cholesterol is easy for many people to do through diet and exercise. This is particularly so if you look at your belly and see it sticking out. The important thing is that LDL cholesterol can be lowered, and that doing so also reduces the risk of heart attack and stroke. Remember that lowering LDL cholesterol is a good aim, but the older you get, no matter how healthy you are, or how healthy you eat, the risk of suffering a cardiovascular accident is still there. In fact, if you are 50, there is a 6% chance of having one within the next ten years - a sad and sorry reality. With high LDL cholesterol levels, that risk increases dramatically, and sky rockets if you have diabeties or are a smoker or your HDL cholesterol is too low.